The first five books of the Bible—known as the Pentateuch or the Law—form the foundation for our heritage, our faith, and relationship with God today. In this detailed, highly researched exploration of Genesis, Exodus, Leviticus, Numbers, and Deuteronomy, Dallas Theological Seminary professors help us understand the theological and historical context for the first five books of the Bible. 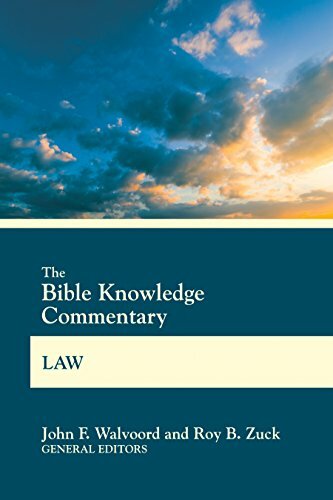 From creation to the Ten Commandments to the beautiful reminders to follow God’s ways, the biblical books of law offer us rich insight into how to live well in today’s world.